PDJ recently caught up with Shannon Nash, CFO and COO of InsideSource, who was generous enough to grant us an interview. We wanted to share her thoughts about career, leadership, diversity, and success with you. Shannon, how did you become the leader you are? I’m not sure that anybody is a natural-born leader. You may be charismatic, you may be naturally friendly, but I don’t think anybody is born a leader. I think that you take little bits from other people to become who you are. People work very hard to become leaders—to manifest and build their leadership abilities. What I’ve done is try to immerse myself in learning from the people I’ve been fortunate enough to have in my career as mentors. And maybe people who never mentored me directly, but who I wanted to emulate in some way. My leadership style is something that I’ve worked to develop, not something that I was born with. People often assume—especially younger people—that a leader has to be someone you report to—somebody in your organization. That’s great, when it happens. However, some of the more impactful experiences I’ve had, have involved people I never worked for. Take Larry Bailey. Although he’s retired now, when I first met him, he was a CPA and partner at PricewaterhouseCoopers in Washington, D.C. I have never worked for Larry. Larry has never gotten me a job. None of those things have happened for Larry and me. But his impact on my success is significant and invaluable. Larry was a pioneer—an MBA in finance from University of Pennsylvania’s Wharton School of Business, followed by successful roles with KPMG Peat Marwick, LLP and PricewaterhouseCoopers. In the 1970s, he became one of the first African American partners at a major accounting firm. Years ago, someone told me I should meet Larry. I did, and was intrigued by his story. At the time, I was a committee chair for the American Bar Association and helped plan continuing education programs. So I invited Larry and another man named Glen Carrington—also an African American and a tax partner at a major accounting firm—to participate in an upcoming panel. I didn’t know either of them—I was afraid they might not even show up. But they did. It was the beginning of a beautiful friendship. Then, while my husband and I were on an ex-pat assignment in Switzerl and, we had dinner with Larry. During our conversation, he told me that if I wanted to move away from law and into business and operations, I should quit my job and make the move. I took his advice and quit, and I have no regrets. To this day, Larry moves in and out of my life and continues to be a key mentor for me. Leader vs. boss—what’s the difference? Everybody’s had an awful boss. I get it. It’s not that being a boss is bad. The problem is that sometimes the boss doesn’t know how to be a leader. I think a good leader knows the difference, and knows when to be one or the other. I have found that some of my people need me to be a boss. I can’t just leave something with them and expect them to come back with anything close to what I want—they’re just not ready for that. So my job is to be a boss to that person and figure out ways to change that relationship, so that they eventually become someone I can lead. I have to know when to put on each hat. That is one of the harder things to learn, but it’s necessary to incorporate that into your toolbox. Many of the people I’ve worked for have made me feel as if I worked not for them but with them. And that’s how I try to make people feel who work for me. I want them to tackle the problem and find a solution themselves. They may arrive at a different solution than I would have, but that’s what’s great. I try to provide guidance, but not micromanage them. Ultimately, I want to move and inspire others, not control them. How do you cultivate a diverse culture? InsideSource is probably one of the most diverse work environments I have ever been in—more than 50 percent women. Of the five senior managers in the company, four are women. People here really value diversity. It’s ingrained in the culture, and has been from the beginning. And, as the company grows, that culture has to be managed and taught to the new members of our rapidly expanding workforce. Otherwise, some of our most important values could be lost. The InsideSource culture is so open and inviting that even new people are often comfortable approaching managers. To encourage even more interaction, we’re about to launch Coffee with Executives—a program that lets employees sign up to have coffee and talk with executives in an informal setting—as part of our mentorship program for 2018. One young woman with a lot of initiative gave us the idea. She invited me to have a coffee, where she told me, “I’m going back to school to study HR. I don’t think InsideSource has any open positions, but if there is anything I can learn, any webinars I can attend….” She now spends a couple of hours each day working, and training, in our HR department. That’s what we want Coffee with Executives to do—to make it easier to learn about each other’s goals in a less formal setting, over coffee. What can you do when life gives you a kick? The thing is to take those events that seem like steps backwards and turn them into learning opportunities that enable you to move the bar even further forward. For me, the traditional lawyer path did not fit. I had to learn very early on, and I try to impress on other people, that your success is defined by you—nobody else. You need to figure out what success means to you. I got caught in the trap of believing that success for me would be what “everybody” said it should be. After all, everybody I knew went to great law schools and got jobs at big law firms. So, that was success. And then life comes along and gives you a kick. When my son was young, I needed to be able to devote a lot of time and attention to him. A law career would not have allowed me the flexibility I needed. So, I chose to use my management and operations skills to contribute in a business setting instead. I have never regretted my decision. By the way, my son is nineteen now, doing well, and wanting to move out on his own. We’re still talking about that. While I was working for Debbie Allen and living in Los Angeles, I became very active in an organization called Cure Autism Now (now Autism Speaks). We all had young children with autism, and shared our experiences and learned about new therapies. But, as I told the organization founder, even though my child was getting the best therapies and care because I could afford it, this was not happening for most people who looked like me. In the African American community, there were no services and support, and outcomes were not good. We talked about what we could do. We decided to make a movie that would speak to parents in the African American community. Through my work with Debbie Allen, I had learned about film production, so I offered to be the producer. We financed it ourselves and got Blair Underwood and Nicole Ari Parker to play the parents of an autistic child. Tisha Campbell-Martin, LaDonna Hughley, Donna Hunter, Tammy McCrary, and I—all mothers of children with autism—also appeared in the film and shared our stories. Released in 2013, Colored My Mind was submitted to the American Pavilion at Cannes, where it was not only accepted, it also won! Recently, I produced a second film—this time with actor/director Tommy Ford—called Switching Lanes. It’s a coming-of-age story, involving two teen girls— one black, one white—growing up in the segregated town of Summerston, who form a friendship that changes their lives and their town. I learned how to do improv while working with Debbie Allen, and here is my advice: Take an improv class. It’s a valuable skill. Don’t take a public speaking class. Take improv. We work with a lot of different kinds of people in different industries. We need to be able to talk to anyone in any setting. Improv prepares you to do that. It will help you think on your feet, get out of your shell, and be yourself. I feel like I’m being very deliberate about defining my own success. And along the way, part of success for me is leaving a legacy for the people I’m leading, so that they can pay it forward as leaders. For me, that is the ultimate success. If I can look back and say that I got all these people into all these amazing positions, and they passed my little bit of wisdom to the next generation, that would be awesome. That would be success. Shannon Nash is the new chief financial officer and chief operating officer for InsideSource. She brings more than 20 years of experience in business operations, finance, human resources, IT, and legal to the role. An attorney and a CPA, Nash is passionate about building companies, teams, and people. 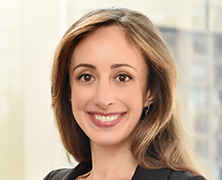 Nash began her career as a tax attorney with KPMG, K&L Gates LLP, and Cooley LLP. 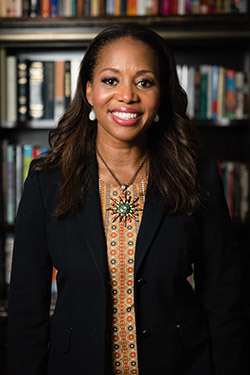 She has also served as a senior attorney with Amgen in Thousand Oaks, CA, executive director of the Debbie Allen Dance Academy, CFO of Sunseeker Media, COO of Aspire University, and vice president of finance for Cumulus Media’s San Francisco market. 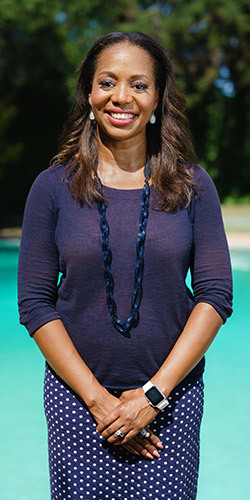 Nash holds a bachelor’s degree in accounting from University of Virginia McIntire School of Commerce and a J.D. from the University of Virginia School of Law.